As the bridal season rolls in, everything needs to be perfect – the perfect ring, the perfect outfit, the best guest list, the most gorgeous honeymoon. But the wedding – that is the crucial, quintessential area of importance. Should we stay in or get out? Destination weddings have become the flavour of the season, more important than outfits and honeymoons – which are a given. What with a British couple getting married at 1,000 feet atop airplanes, Star Wars and fairy tale characters’-inspired wedding attire and a groom skydiving to tie the knot in Bhubaneswar; the bizarre is the flavour of the season. To find that eternal, exquisite destination, you just need to think bigger and more exclusive. Forget flowers and centrepieces, it’s the ambience and old-world charm of palaces and castles, or a simple sunset that forms the perfect backdrop to that ultimate moment which needs to be embedded in our memories forever. It is said to be the most magnificent sunset in the world – and it may just be true. There are very few places in the world where you can stand atop a craggy piece of land and say your vows in front of the tangerine sunset straddling a dormant volcano floating on the ocean. 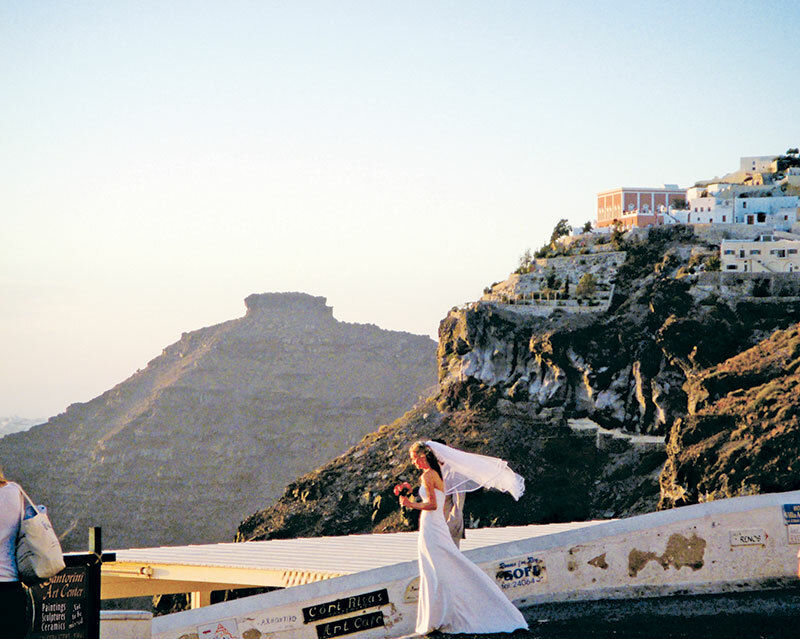 Wedding parties fly in specially to get married in front of the Santorini sunset, and a breathless bride and groom hold hands and wait in anticipation for the exact moment when the sun sets and flashes a myriad colours across the Grecian sky, at which moment, they become man and wife. That is the starting point of a journey, where people are always looking for something special, or actually going that extra mile – literally and metaphorically, to make the event a day to remember. While Santorini appears to be the most magical spot in the world, so purely a thing of nature, consider having a beautiful ice wedding. 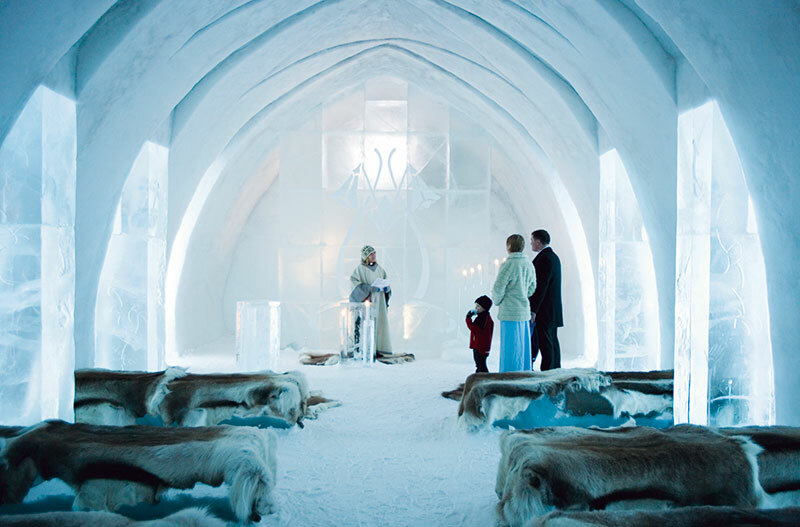 From volcanic sunshine to icy blue environs – with a chapel carved out of ice every year, and special custom-made ‘ice’ wedding packages, it is possible to be a real Scandinavian Ice Princess, in Jukkasjärvi, Sweden, a small village 200 km north of the Arctic Circle. No two chapels are quite the same in this unique location, as the chapel itself eventually melts away into the River Torne. Whether you choose matching ski suits, kilts or the traditional wedding attire, having a wedding at the IceHotel is an experience for all present. 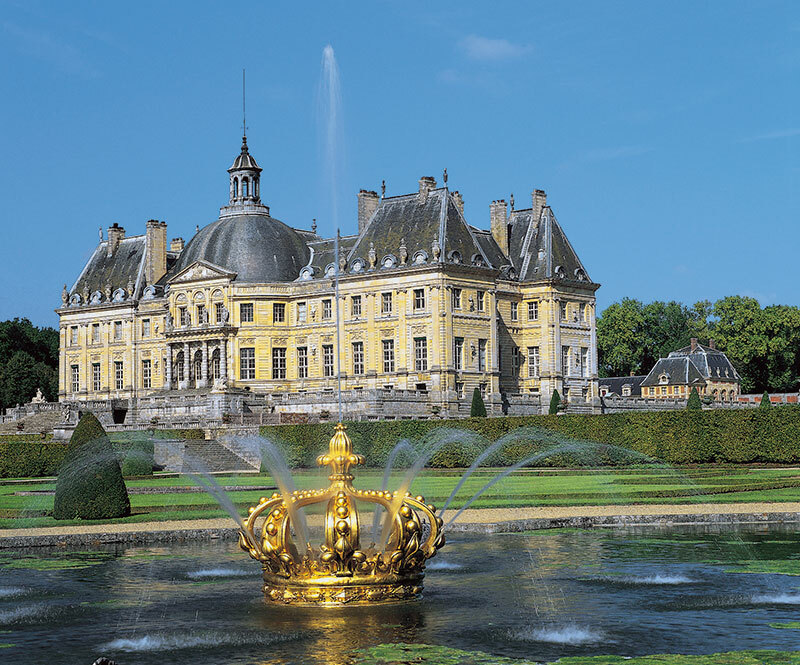 If ice doesn’t do it for you, and a princess you still want to be, then simply think like the Mittals – and Versailles. 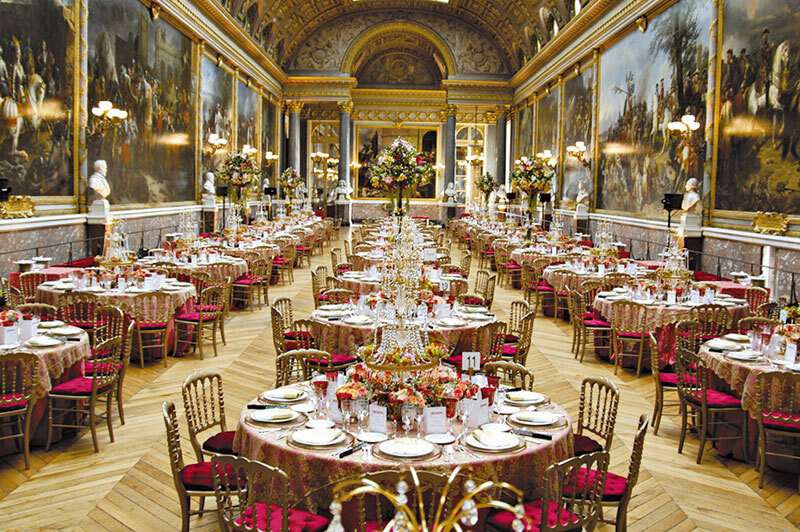 The ‘fairy tale’ wedding of Lakshmi Mittal’s daughter Vanisha that was broadcast all over the world with much fanfare, or Eva Longoria’s wedding reception, were both held at the Vaux Le Vicomte Château, in Versailles, France. The historical 17th century masterpiece is replete with fountains and lush gardens, exquisite furniture, period decor and crackling fires in antique fireplaces – quite the place to warm the soul! With a host of movies shot at this fabulously grand location, it is also enough to make you feel like a movie star. Think Marie Antoinette (but of course with a ‘happily ever after’ instead)! Talking about fairy tales, you are immediately transported to Venice – the land of entrancing (though a tad smelly) gondolas and beautiful churches. One of the most romantic cities in the world, reminiscent of Juliet being serenaded by Romeo, it is the perfect place for a classic wedding in an Italian palazzo or in the ambience of a church with famous paintings of Titian and Michelangelo as guests of honour. ‘Period Residences’ that date back to the 1500s, like Palazzo Abadessa, with frescoed ceilings, authentic antiques, and paintings from the Tintoretto school, welcome wedding parties. Gorgeous Capri of Mediterranean blue sea, picturesque white sail boats, limestone masses and villa-lined promenades is one of the most typically beautiful spots – a spectacular alternative to the white Cycladian architecture of Greece – with the simplistic beauty of its coastline. Capri was the destination of choice for celebrity chef Wolfgang Puck and Gelila Assefa’s wedding, at the Grand Hotel Quisisana, which draws inspiration from Mediterranean art and lifestyle, whilst intrinsically remaining an Italian hotel. Getting married amidst the ruins of imperial Roman villas (think Villa Jovis) promises to be an experience. Recalling Diane Lane in the movie Under the Tuscan Sun, where we realise it is easy to fall in love with wine country (and possibly a hot Italian), and nothing more is really required to have a rollicking country wedding. Breathtaking countryside, art, sculpture and the misty haziness of wine come together to serenade you in style. Winding down grass roads and one-horse towns, where your visitors may actually get lost or never find their way back home, with simple guitar-strumming and sultry afternoons of free wheeling time, it’s all about a sedate wedding at a villa in Tuscany. 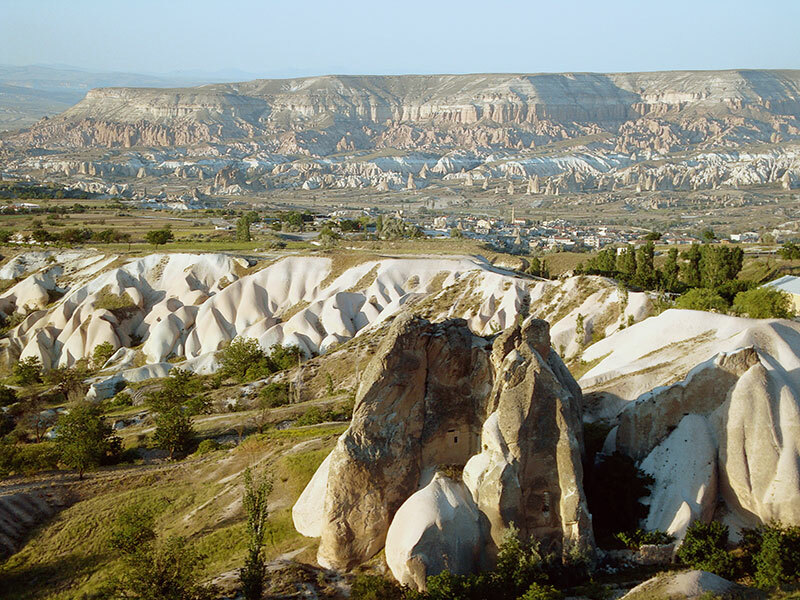 If natural beauty is your thing, then having a wedding amidst the backdrop of the fairy chimneys, mushrooms, and unusual land forms of Cappadocia, is inimitable. Reminiscent of the bizarre backdrops in Star Wars, this Turkish phenomenon is best experienced from the painstakingly put together Museum Hotel located at the area’s highest point, Uchisar. With the grand hotel made out of the local insulated rock, many local ancient heirloom and antique pieces decorating the place and a gorgeous heated swimming pool with a breathtaking view of the Goreme Valley to boot, it is not surprising that the hotel is the favourite haunt of movie stars and celebrities, and an ideal location for an exotic wedding celebration; as the sun sets over the land forms, enveloping them in myriad hues. This is merely the tip of the proverbial iceberg. From Bavarian mountains in Germany to the ‘sound of music’ hills of Salzburg, from the little cozy mountain chalets of Switzerland, to the Baroque architecture of Eastern Europe; going exotic is a truly memorble way to tie the knot.